Omigosh, his cheeks are so chubby, I’m gonna DIE! If that BABY wasn’t cute enough, take a lot at the get-up! How much do you want a baby you can dress up in this outfit? 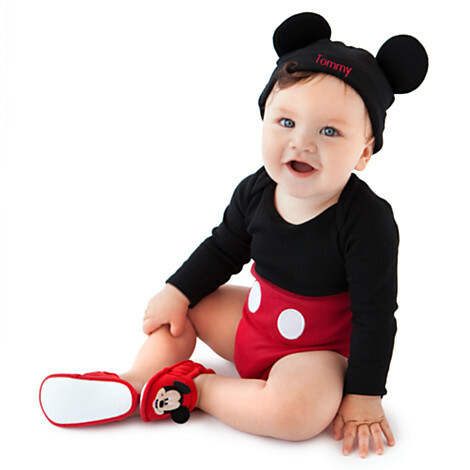 World’s Most Adorable Mickey Mouse Bodysuit with adorable, matching Mickey Mouse Ears that can be personalized, just like Mama Mouse and Daddy Mouse’s! Hello, Go-To Baby Shower Gift! I may (or may not) have just bought this for someone who just came into this world!